A trailer and poster have been released for Vincenzo Natali‘s mystery-horror film, Haunter. The film stars Abigail Breslin as a girl who keeps reliving the same day 1985 and has to unravel the mystery of why she is in this odd purgatory. I caught the film at SXSW, and while I enjoyed the premise, I felt that the emphasis on solving the mystery was at the expense of the emotional side of the story. This new trailer doesn’t give too much away, but it also makes the movie looks like a run-of-the-mill haunted house movie with only the Groundhog Day-aspect as a means to stand out. Hit the jump to check out the trailer and poster. The film also stars Stephen McHattie, Peter Outerbridge, Michelle Nolden, and David Hewlett. 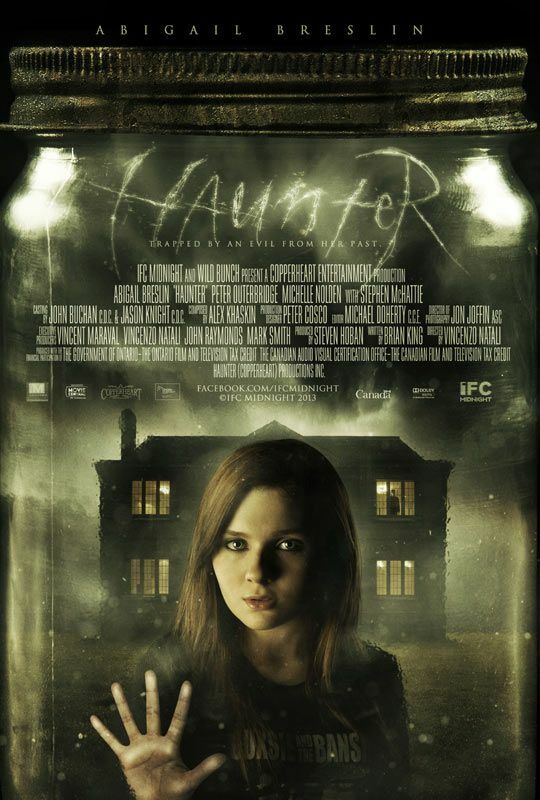 Haunter opens in theaters and will be available on VOD on October 18th.